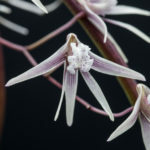 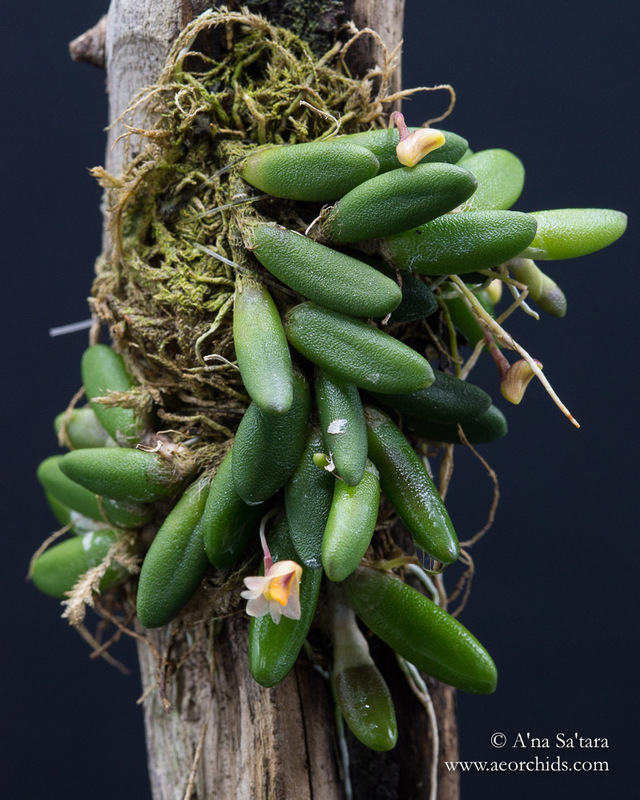 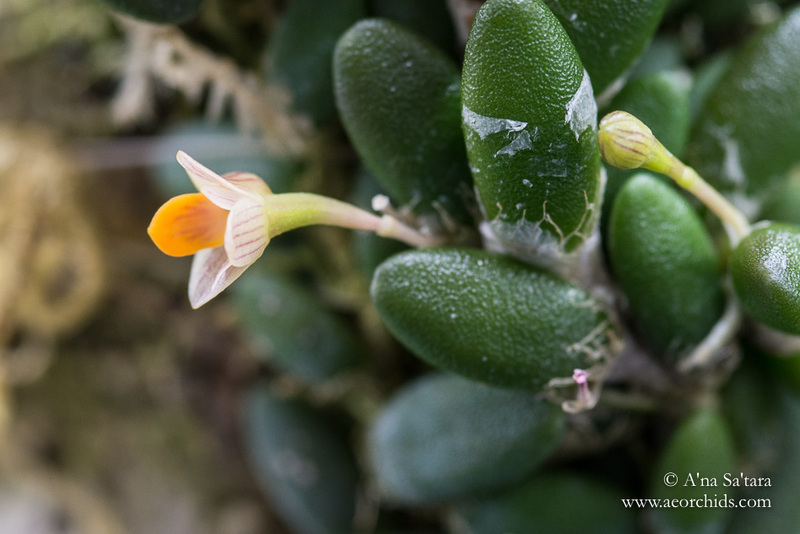 This orchid can be named (at least) three different ways, depending upon whether Dendrobium prenticei and Dendrobium (Dockrillia) lichenastrum are considered conspecific, and whether you separate Dockrillia from Dendrobium. 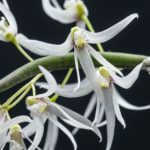 I’m not qualified for, or particularly excited by, taxonomic debates; in general, I will include current commonly occurring names on this website, and defer to the most disaggregated nomenclature (e.g., Dockrillia) if the taxonomy is conflicted or inconclusive. 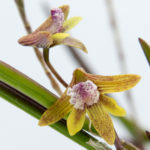 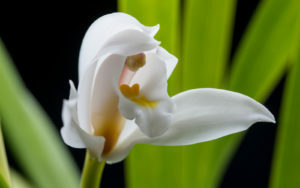 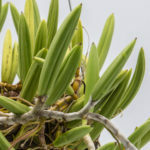 I have three forms of this orchid, with a gradation in size of the “leaves”, with the largest being Dendrobium prenticei and the smallest being the form of Dendrobium lichenastrum in the majority of photographs below. 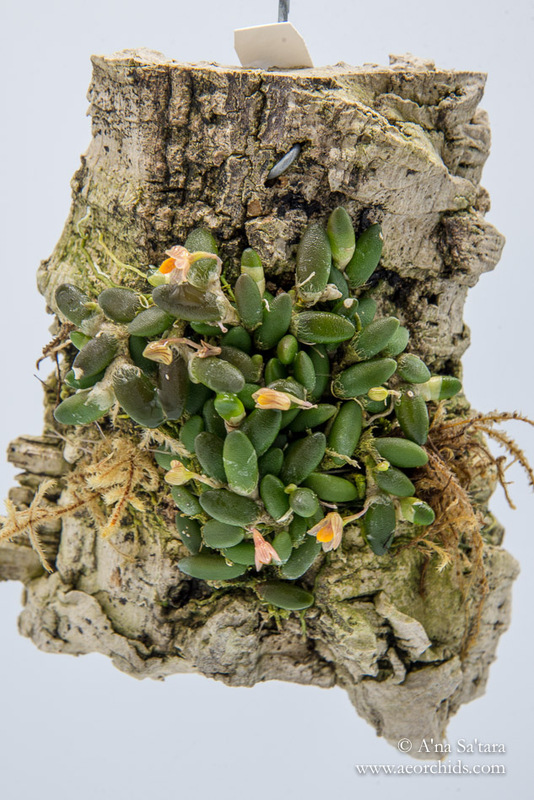 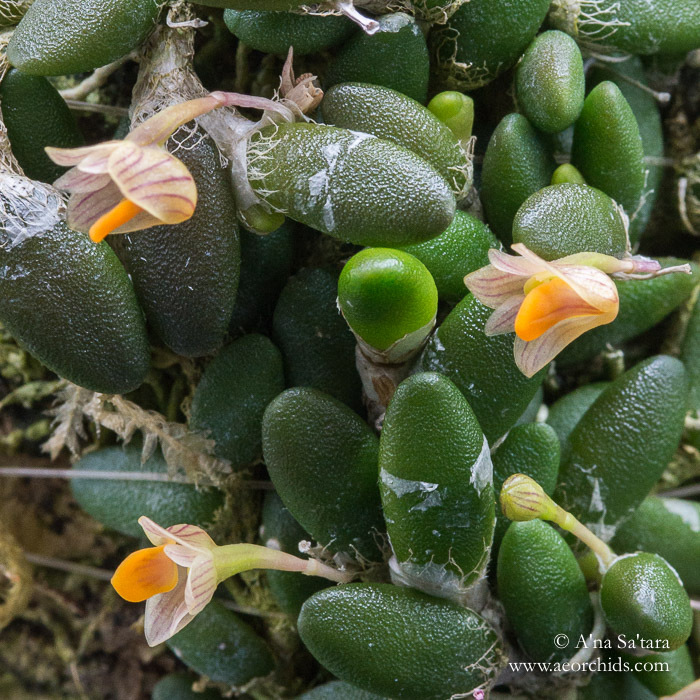 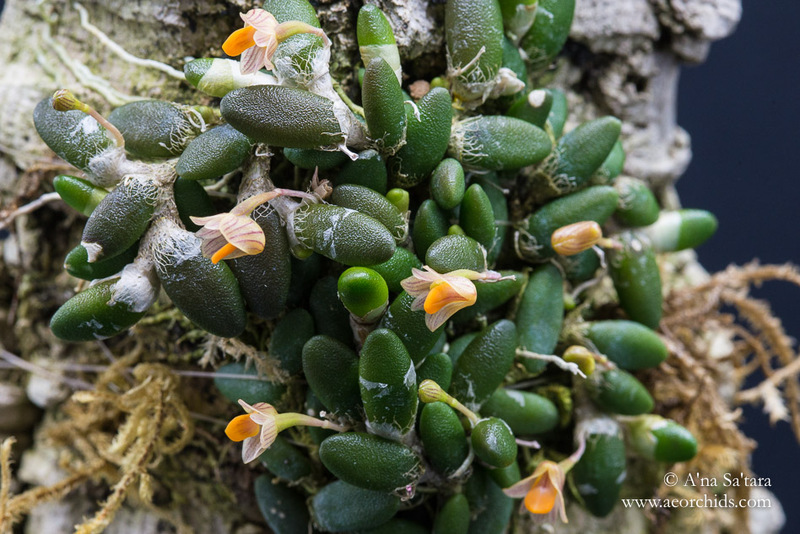 The final photograph is my “large form” of Dendrobium lichenastrum (as described by Andy Phillips), or intermediate in size between the “small form” and Dendrobium prenticei.